Ranking New Gmail’s AI-Generated Smart(ish) RepliesThe idea, especially on a small, one-hand phone screen, is that you can tap and send using one thumb, without typing. Conservative Twitter Losing It After Bot Purge Costs Them ‘Followers’Richard Spencer says he lost 1,000 followers overnight. Twitter Is Purging Fake AccountsOver a million fake accounts have vanished from the platform. How Fake News Happens: Hillary EditionA compelling demonstration of the fake-news cycle. Two Google Homes Are Arguing About Whether They’re Human Right NowThey love each other and one of them thinks it’s human. Arguing Twitter Bot Proves the Pointlessness of Internet DebatesOn Twitter, the bot goes by Liz and talks about topics like sexism, harassment, and politics. In Praise of Stupid BotsWhy are we so intent on making our bots talk like humans? The White House Got a Facebook Messenger Bot, Because of Course It DidSup, Obama. 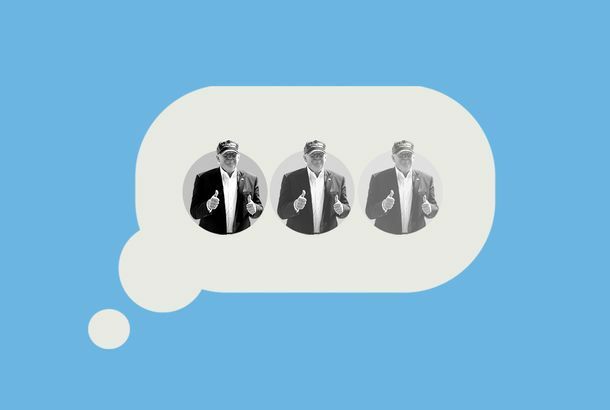 Inside Donald Trump’s Twitter-Bot Fan ClubSome of Donald Trump’s most zealous fans on Twitter are bots. This Superbly Useless Bot Orders Food to a Random Place and then Ubers You ThereAlways be prepared with utensils. Microsoft’s ‘Teen’ Bot Is Denying the HolocaustTeens: They grow up so fast! Would You Get Your News From a Bot?As bots get more human, humans are getting more bot. 12 Weird, Excellent Twitter Bots Chosen by Twitter’s Best Bot-MakersWe spoke to some of our favorite bot-makers about their favorite Twitter bots — their own, and made by others in the #botALLY community — to surface some lesser-known projects worth following.